Visiting Saint-Mandé and looking for a place to swim? Nice choice! Don't forget to tell us how did it go. 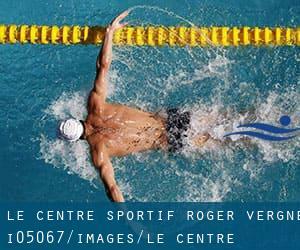 Introducing now Le Centre Sportif «Roger Vergne» swimming pool, a great swimming pool sent by a swimmer like you couple of days ago. Have you visit this pool? Do you work here? Please, contact us for those who have info which you think is gonna be useful and remember from now on you can now promote every single pool just by sharing this page together with your friends or adding comments within the Facebook boxes below. Come on and support this pool to be the first in Saint-Mandé! Among all the activities offered by the center, for anyone who is considering swimming you'll take pleasure in 25 meters x 12.5 meters, 5 lanes, 1.8 meters - 3.5 meters depth, 1.8 meters - 3.5 meters depth, Indoors. Just in case you desire to contact this Swimming Pool prior to dropping by, we only know the phone number. Updated on 2019 90, rue Petit Leroy , Chevilly Larue , FRANCE (Postal Code: 94550). Among all the activities provided by the center, if you are interested in swimming you might take pleasure in 25 meters x 10 meters, 4 lanes, 1.4 meters - 2.2 meters depth, 1.4 meters - 2.2 meters depth, Indoors. Just in case you want to contact this Swimming Pool before dropping by, we only know the phone number. Updated on 2019 Club des Nageurs, 4 Avenue Europe , Cachan , FRANCE (Postal Code: 94230). Swimmers like you reported 25 meters x 15 meters, 6 lanes, Indoors. Unfortunately we do not have the e-mail address of this Swimming Pool, but we can give you the phone number. Updated on 2019 99 Rue des Bordes , Chennevieres sur Marne , FRANCE (Postal Code: 94430). Swimmers like you reported 25 meters x 12.5 meters, 5 lanes, Indoors. Unfortunately we do not have the email address of this Pool, but we can provide you with the phone number. Updated on 2019 59 Avenue Docteur Calmette , Villeneuve le Roi , FRANCE (Postal Code: 94290). This sports center delivers 25 meters x 10 meters, 4 lanes, Indoors. For this Swimming Pool, only phone number is number here. Updated on 2019 Rue Entroncamento , Villiers sur Marne , FRANCE. Swimmers like you reported 25 meters, 5 lanes, Indoors. Unfortunately we do not have the email address of this Pool, but we can provide you with the phone number. Updated on 2019 Rue du Noyer Grenot , Orly , FRANCE (Postal Code: 94310). This sports center provides 25 meters x 10 meters, 4 lanes, Indoors. For this Swimming Pool, only phone number is number here. Updated on 2019 2 av. de Villeneuve-Saint-Georges , Choisy le Roi , FRANCE (Postal Code: 94600). Among all the activities offered by the center, if you are thinking about swimming you will enjoy 25 meters, 6 lanes, Indoors. Just in case you desire to contact this Swimming Pool before dropping by, we only know the phone number. Updated on 2019 21, rue du Hameau , L ´Hay les Roses , FRANCE (Postal Code: 94240). Among all of the activities supplied by the center, if you're considering swimming you will get pleasure from 25 meters x 12.5 meters, 5 lanes, 1.8 meters - 3.2 meters depth, 1.8 meters - 3.2 meters depth, Indoors. Just in case you need to get in touch with this Swimming Pool before dropping by, we only know the phone number. Updated on 2019 Quai Blanqui , Alfortville , FRANCE (Postal Code: 94140). This sports center delivers 25 meters, 6 lanes, Non-Chlorine Sanitized, Indoors. Contact facts for this Swimming Pool similar to phone number and email address are number. Updated on 2019 Rue Youri Gagarine , Villejuif , FRANCE (Postal Code: 94800). This sports center offers 25 meters x 15 meters, 6 lanes, 2 meters depth, 2 meters depth, Indoors. For this Swimming Pool, only phone number is number here. Updated on 2019 51 Avenue Pierre Brossolette , Saint Maur Des Fosses , FRANCE (Postal Code: 94100). This sports center offers Olympic size x 15 meters, 6 lanes, Indoors. For this Swimming Pool, only phone number is number here. Updated on 2019 Avenue 8 mai 1945 , Vitry sur Seine , FRANCE (Postal Code: 94400). Swimmers like you reported 25 meters x 12.5 meters, 0.6 meters - 1.2 meters depth, 0.6 meters - 1.2 meters depth, Indoors. Unfortunately we do not have the email address of this Pool, but we can give you the phone number. Updated on 2019 Rue Severine , Le Kremlin Bicetre , FRANCE (Postal Code: 94270). This sports center gives Olympic size x 20 meters, 8 lanes, Indoors. For this Swimming Pool, only phone number is number here. Updated on 2019 Avenue Charles Garcia , Fontenay sous Bois , FRANCE (Postal Code: 94120). Among all the activities offered by the center, for anyone who is considering swimming you'll take pleasure in 25 meters x 15 meters, 6 lanes, Indoors. Just in case you desire to contact this Swimming Pool prior to dropping by, we only know the phone number. Updated on 2019 Allée Ferdinand de Lesseps , Creteil , FRANCE (Postal Code: 94000). Among all the activities offered by the center, for anybody who is interested in swimming you will get pleasure from 25 meters x 10 meters, Indoors. Just in case you wish to make contact with this Pool just before dropping by, we only know the phone number.